Living a Fit and Full Life: Enter to Win Blount Fine Foods Organic Soups Giveaway! (7 Winners - 3 Free Soup Coupons Each) Ends 6/15/17! Enter to Win Blount Fine Foods Organic Soups Giveaway! (7 Winners - 3 Free Soup Coupons Each) Ends 6/15/17! 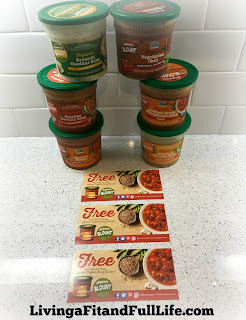 Enter to Win Blount Fine Foods Organic Soups Giveaway!